A recent government inspection found multiple medical errors at the hospital, including communication issues, staffing problems, and quality and infection control issues. 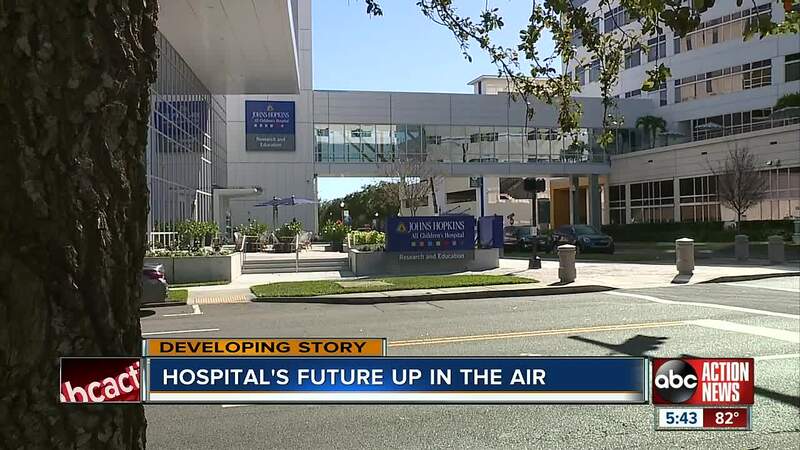 ST. PETERSBURG, Fla. — As a cloud hangs over Johns Hopkin's All Children's Hospital, staff, doctors, and patients wonder what will happen next. "It's unfortunate," said Dr. Jay Wolfson. Wolfson is a public health professor at the University of South Florida. He's been following the story closely. "None of us in the community want to have our hospital tainted with this bad republication," said Wolfson. Wolfson said infections at hospitals are common and always a problem. But the number of infections at All Children's "is way above the national average." All Children's had to submit a detailed plan to the centers for Medicare and Medicaid explaining how it will correct the concerns found during the inspection. The federal government now has until Feb. 23 to review the plan, make changes to it, and determine if the hospital will continue to receive federal funding. Medicare and Medicaid isn't the hospital's only source of income. But Dr. Wolfson said if the hospital loses that funding, private insurance companies may follow. "That doesn't do our community any good at all," Dr. Wolfson said. "Nobody wants the hospital to close."